The South is known for its hospitality, and award-winning chef Elizabeth Terry is known for her ability to create magic in the kitchen. With Savannah Seasons Chef Terry, working with her daughter Alexis, brings all the warmth of the South, and the secrets of her culinary wizardry, into the kitchens of home cooks everywhere. She began cooking simply for her family--husband Michael, and daughters Alexis and Celeste--but for the past fifteen years Elizabeth Terry, winner of the l995 James Beard Award as Best Chef in the Southeast, and her eponymous restaurant in Savannah, have been known for serving simply prepared, perfectly fresh, innovative dishes in the Southern tradition. Unlike most great restaurants, Elizabeth on 37th is a family enterprise--as is Savannah Seasons. All of the two hundred recipes collected here have been tested by co-author Alexis in the Terry home kitchen (located "above the store") to ensure that they are well within the range of any amateur cook. From Hearty Okra Gumbo with Chicken and Shrimp to Savannah Red Rice, from Soft Shell Crabs to Ragout of Venison, you will find interpreted within these pages all the native bounty of a rich regional cuisine--shellfish, sweet Vidalia onions, and black-eyed peas; recipes for relishes and marinades; crisp, fresh salads; delicious baked goods, and much more. And throughout there are chef's tips and stories, in the voices of Elizabeth, Alexis, Michael, and Celeste, about the food, about life in Savannah, and about their experiences at "the family restaurant." 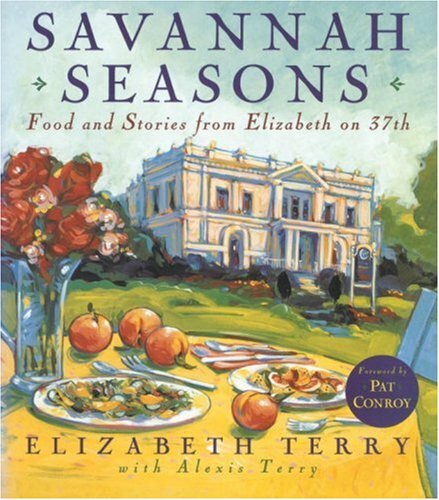 Savannah Seasons is not only a book of outstanding recipes but a book full of warmth, joy, and hospitality.